The Backscatter GoPro Handle & Tray with Tripod Adapter from Flip Filters is a compact underwater aluminum support tray with a comfortable foam grip for stabilizing underwater shots with your GoPro camera. The handle features a 1/4" hole at the top for mounting a video light arm. 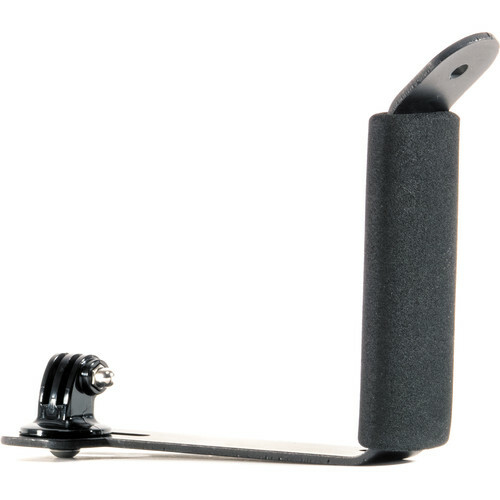 A standard GoPro tripod mount is included for attaching your GoPro camera, but the tray is also compatible with optional GoPro Helmet Mounts for quick on and off attachment. Box Dimensions (LxWxH) 9.8 x 8.0 x 1.5"